Ezeego1 offers a huge cashback on domestic and international flight. They offer maximum 70% off on on domestic hotels and 10% off on international hotels. Time to go anywhere with ease at Ezeego1. Book your domestic flight tickets and get up to Rs. 2500 cashback at Ezeego1. Offer valid for Axis Bank Master / Visa Credit and Debit Cards or Net Banking users only. Book Now! Use your SBI card when you book your international flight and get Rs. 1500 cashback and Rs. 300 cashback on domestic flight booking. Apply the coupon code to avail the deal and save big. Get Rs. 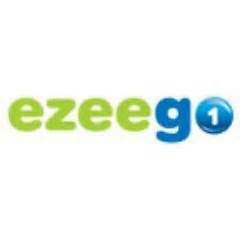 500 cashback on return flight tickets with Ezeego. Offer valid on Standard Chartered, HSBC, and Citi Credit/Debit card, Oxicash, Paymate or cash on delivery. Avail now! Save up to Rs. 1200 and Rs. 300 on international and domestic flight bookings. Offer is valid only for YES bank customers. A coupon code is required to get this deal. Book your domestic flights and grab up to Rs. 2000 cash back on your booking at Ezeego. Apply the coupon code to avail this deal. Get it now! Ezeego offers weekend getaway starting at just Rs. 699. So plan your trip now with your family & friends and create new memories. Get up to 70% off on domestic hotels only at Ezeego1. Book hotels at the lowest price in the town by clicking on Get Deal button. Book Now! Last minute air ticket bookings starting from Rs. 849 exclusively at Ezeego1. Click on Get Deal to avail the offer. Don’t miss the golden opportunity and save your huge money on your travel cost.